What’s wrong with the Colorado Avalanche? 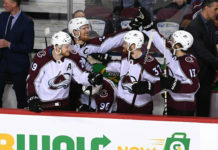 The Colorado Avalanche (22-21-8) came out of the gate looking like contenders, but as of late the Avs are looking more and more like pretenders. Losers in 15 of its last 20 games, Colorado has struggled mightily, despite having one of the most dangerous first lines in all of hockey. 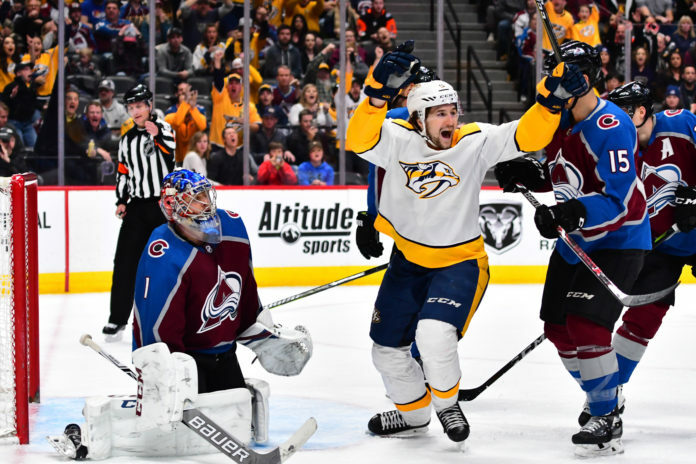 As it currently stands, the Avalanche have totalled the eighth most goals in the NHL with 170, but the offensive success has not translated to victories. So, what’s wrong with the Avs? For one thing–Colorado is way too dependent on Mikko Rantanen, Gabriel Landeskog and Nathan MacKinnon. Of the Avs’ 170 goals this year, 79 have been scored by the top line (46.5 percent). Essentially this means that if Colorado’s top unit is not finding the back of the net, the likelihood of the Avalanche winning on any given night is slim. Another big issue has been inconsistent defensive play and poor performances from the goaltenders. Semyon Varlamov has given up three or more goals in four of his last five starts and really has not looked like himself for most of the season. With a 2.89 goals against average, Varlamov currently sits at No. 38 in the league. And while Philipp Grubauer has shown glimpses of his potential, the 27-year old’s goals against average has climbed to 3.38. In his last two starts, both of which were losses, Grubauer gave up five goals on 28 shots and six goals on 20 shots, respectively. With 31 games remaining on the schedule, if the Avalanche are going to have any chance of making a run at the postseason, improving in each of these facets will be paramount. So will spending less time in the penalty box though. Only Boston (509) and Vancouver (517) have recorded more penalty minutes than Colorado (502) in 2018-19. By constantly putting the defense in shorthanded situations, the Avs kill the speed advantage they typically possess in even strength situations and put pressure on a struggling defensive unit. Finally, when the Avs manage to force a game into overtime, they have to find a way to start winning close games. Colorado is 1-8 in games that have gone past the third period this season, and the inability to close out tight games has really costed the Avalanche in the overall standings. An OT loss is obviously better than dropping a game in regulation, but leaving a possible eight points on the table has to sting for head coach Jared Bednar. 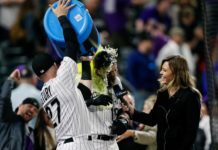 While there are plenty of other aspects of Colorado’s game that need to be tweaked and improved, these four components will be some of the biggest factors down the stretch. 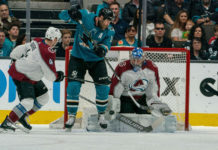 The Avs have a ton of talent on the roster and might be the most athletic unit in the entire NHL, but mental blunders and inconsistencies on both ends of the ice have plagued Colorado all season. After appearing to be a team that might be good enough to win it all in October and November, the Avs will be fighting for their lives the rest of the way.